Who would've guessed that emoji would be such a big deal in 2019... well, super-sized, personalized emoji in particular. We are talking about Apple's Animoji and Memoji, of course. A cutesy feature, first released with the iPhone X, which some thought would be forgettable, but it somehow set a mini-trend of its own. Soon after its release, Samsung and LG did something similar with their respective "AR Emoji" and "My Avatar". But, of course, Apple is being Apple about it. 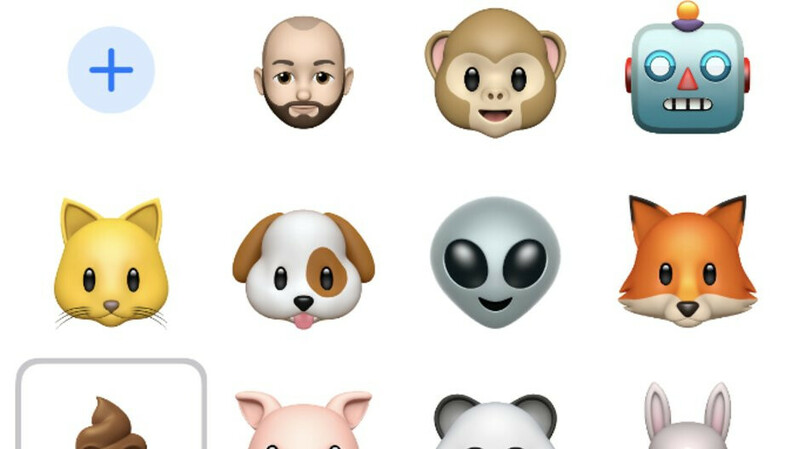 While the other manufacturers are letting you save your customized emoji as an image or a video, so you can share it over any platform you desire, Apple's Animoji and Memoji will only work through Apple's iMessage app. But fret not, there's a way to record your favorite Animoji and send it through any messenger you desire! Sure, it's a bit of a workaround, but it's not painful, we promise! Yep, that's right, you can send iMessages to yourself. You can either enter your phone number or your iCloud account in the address bar then fire off a message. Of course, we are going to do this to send our custom Animoji to... well ourselves for now. 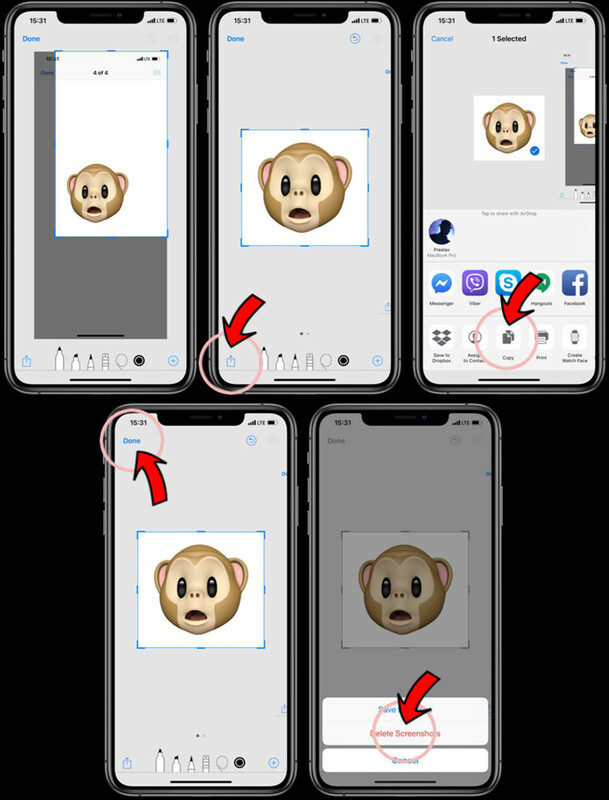 Now, there are two ways to use an Animoji — you can either record a short video, talking through your animated character, or you can take a "picture" of said character, mimicking a grimace you are making into your phone screen. 3D Touch on the sent / received video and drag it up. Select "copy" from the menu. Tap on the sent / received video, then select the "share" option on the bottom left. Choose the "copy" option. 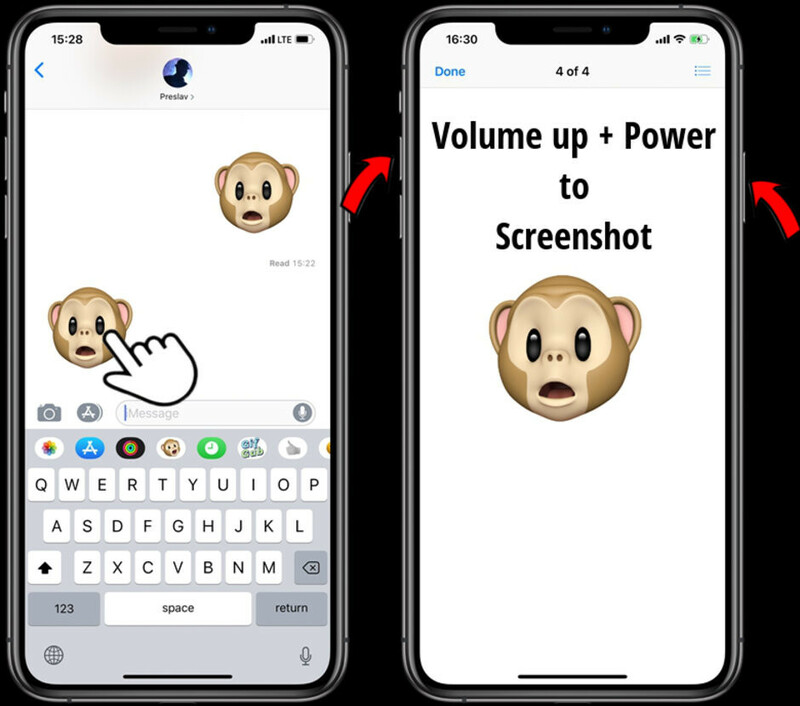 You can choose whichever of these methods you desire (obviously, if you have an iPhone XR, you don't have 3D Touch, so go with option 2). After you have copied the clip, open the messenger app you want to send your Animoji through, tap on the text field, and just choose "Paste". The reason we are going with the Copy - Paste option is because we don't want to create clutter in your Photos gallery. 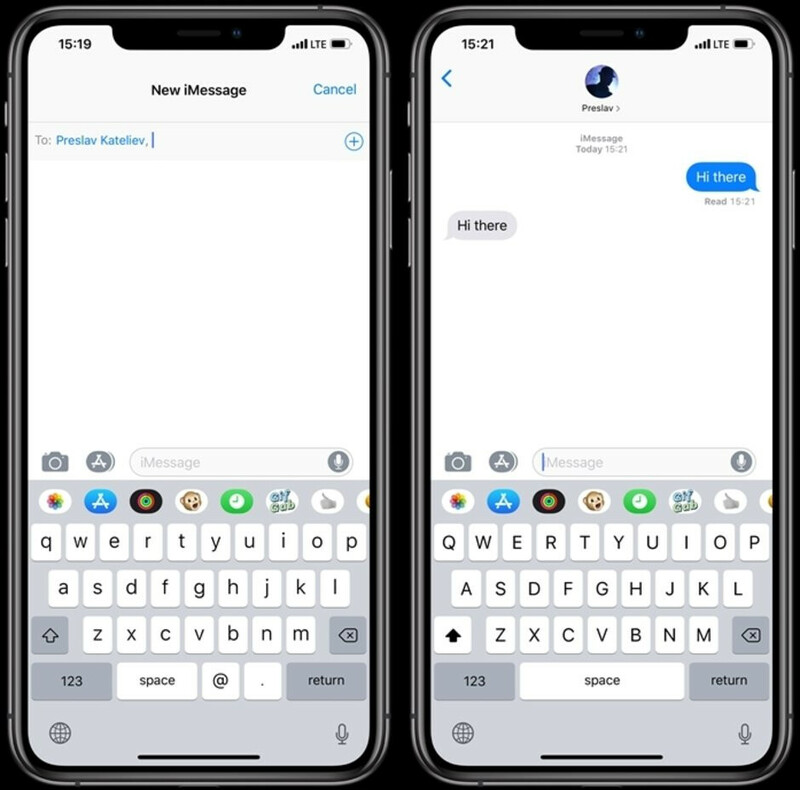 If you want to re-use an Animoji any time soon, just head back to the iMessage conversation with yourself and copy it again.